SKU 302151Our Price $150.00 $81.00 On Sale! SKU 302183Our Price $139.95 $75.58 On Sale! 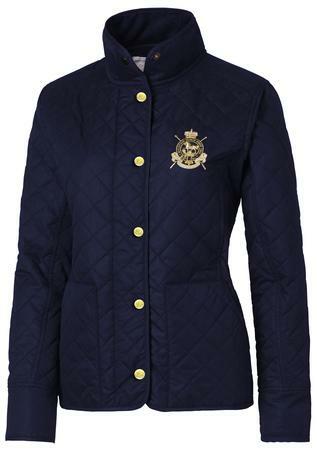 A new update to a classic riding jacket. 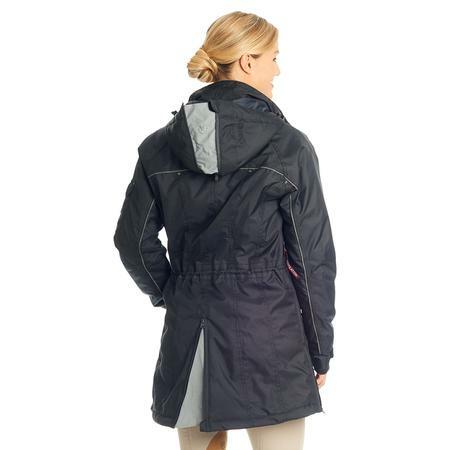 Waterproof and breathable, with fully taped seams to keep you warm and dry, it features a 2-way YKK® zipper, detachable and adjustable hood, riding slits at back and strategic reflective details. Fabric: 100% Polyester, Lining: 100% Polyester, Insulation: 100% Polyester. SKU 302172Our Price $170.00 $89.05 On Sale! SKU 302142Our Price $140.00 $75.60 On Sale! Innovative tech fleece designed to offer maximum freedom of movement! Features two different fabrics that are strategically placed for the ultimate freedom of movement and an anti-pilling treatment for a fresh look after laundering and wear. With YKK® zipper, 2 roomy front pockets, high cozy collar and tailored shape. Fabric I: 100% Polyester. Fabric II: 92% Polyester, 8% Spandex. SKU 302165Our Price $140.00 $75.60 On Sale! 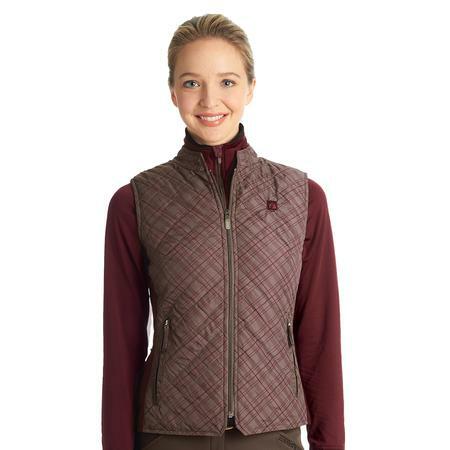 Sporty hybrid fleece with trendy styling has the best of a fleece and a vest combined! 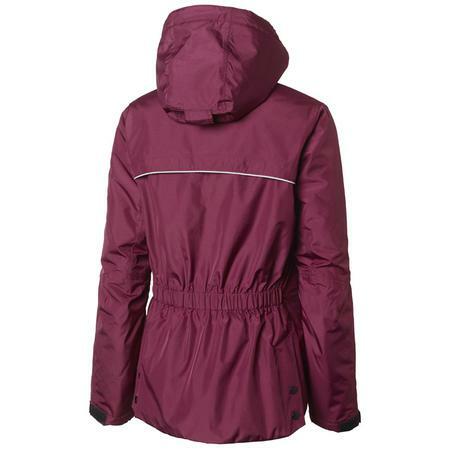 Features an insulated body and detachable hood paired with tech fleece at sleeves and sides. 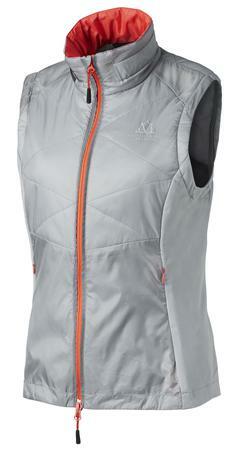 With reflective details for increased visibility and two front zipper pockets. Fabric I: 100% Polyester. Fabric II: 92% Polyester, 8% Spandex. Lining: 100% Polyester. SKU 302164Our Price $200.00 $108.00 On Sale! 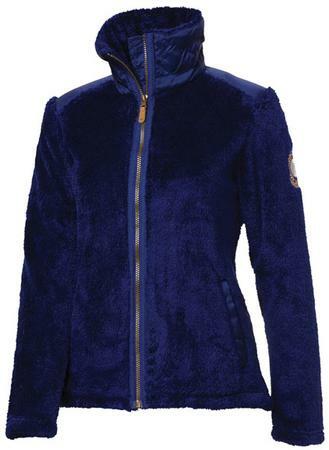 Incredibly soft and cozy teddy fleece for cold winter days. YKK® front zipper with chin shield. Two front pockets. Mountain Horse embroidery around collar and on sleeve. Felt Mountain Horse badge on chest. Fabric: 100% polyester. SKU 302124Our Price $89.00 $48.06 On Sale! SKU 302169Our Price $130.00 $70.20 On Sale! 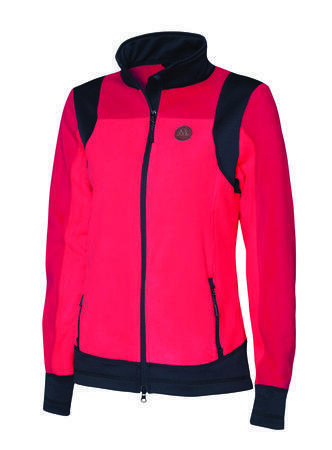 Warmth in a lightweight package for comfort in and out of the saddle! 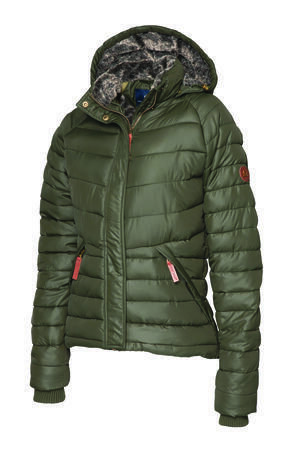 Features water-repellent shell and modern plaid printed lining. 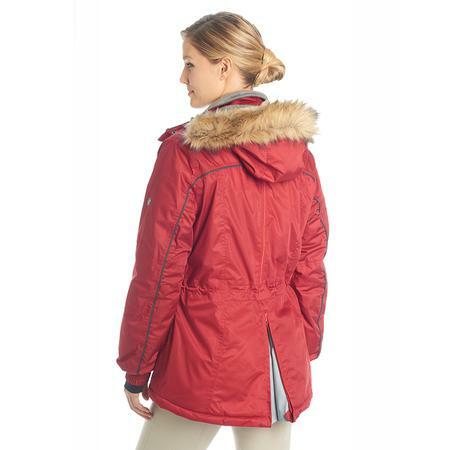 With faux fur lined hood and collar, detachable adjustable hood, 2-way YKK® zipper, riding vents and handwarming cuffs inside sleeves. 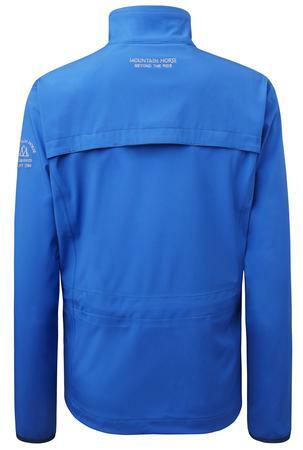 Outer shell and lining: 100% Polyester. Insulation: 100% Polyester Fiberfill. SKU 302163Our Price $210.00 $113.40 On Sale! SKU 302143Our Price $180.00 $97.20 On Sale! SKU 302171Our Price $200.00 $108.00 On Sale! 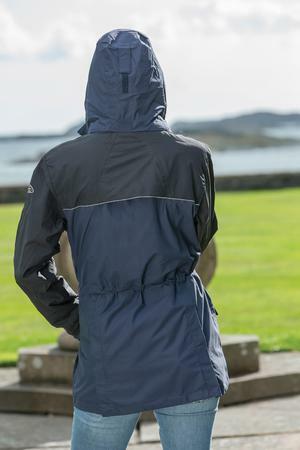 The Mountain Horse(R) Stratford Jacket offers weatherproof protection that creates an impenetrable barrier to all forms of precipitation, yet is breathable so internal moisture can escape. 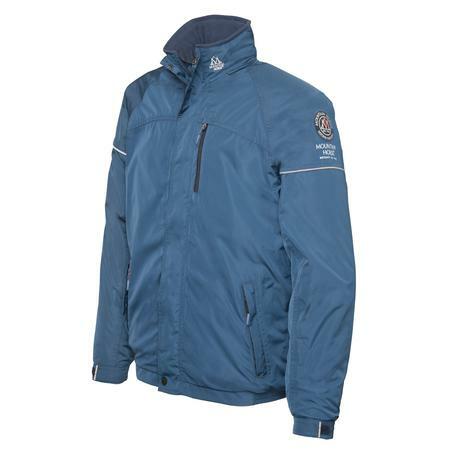 Fully seam-sealed, the Stratford Jacket is waterproof, windproof, and breathable. 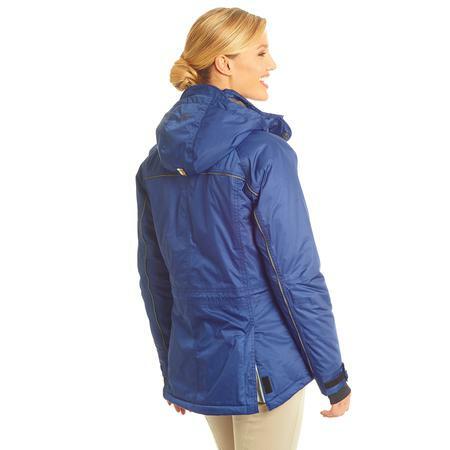 Additional features include: YKK® two-way front zipper with storm flap, detachable, adjustable hood, adjustable drawstring waist, mesh ventilation under back yoke, riding vents in back, and multiple pockets. Material: 100% polyester. Lining: 100% polyester. 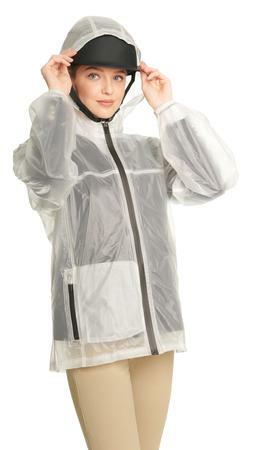 Waterproof 2000mm/Breathability 4000gr/m², 24 hrs. SKU 302144Our Price $200.00 $108.00 On Sale! SKU 302153Our Price $120.00 $64.80 On Sale! 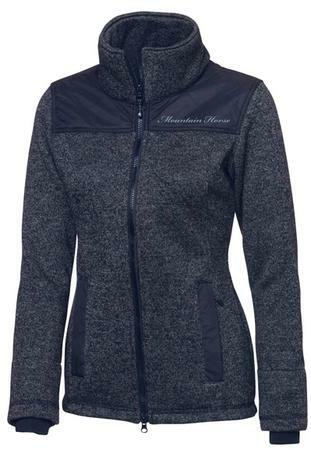 Bonded fleece features a knitted look on the outside with a fleece inside. 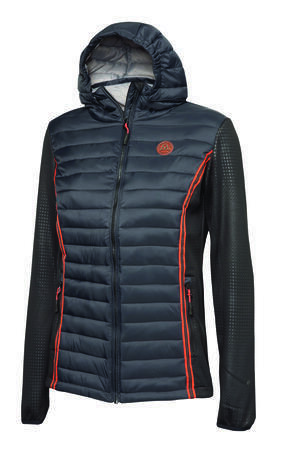 Windproof, with 2 way front zipper with chin guard, 2 roomy hand warming zippered pockets and quilted elbow patches. SKU 302152Our Price $180.00 $97.20 On Sale! 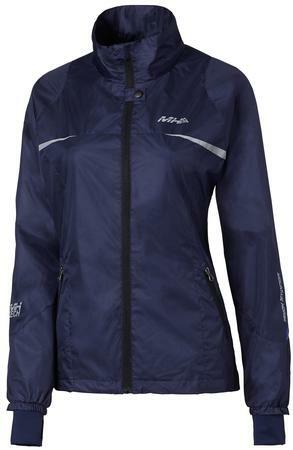 Laugh at the rain with the Cool-Dry Rain Rider Jacket. The perfect length for active riding, a large back vent will allow for maximum airflow while the lightweight waterproof-breathable stretch soft-shell fabric gives comfort with back gusseted vents and 2-way zipper. Sharp Black/Red styling and slim waist give it a great look while staying dry. Features large back vent, adjustable cuffs, hip length, machine washable. SKU 469805Our Price $129.95 $71.47 On Sale! 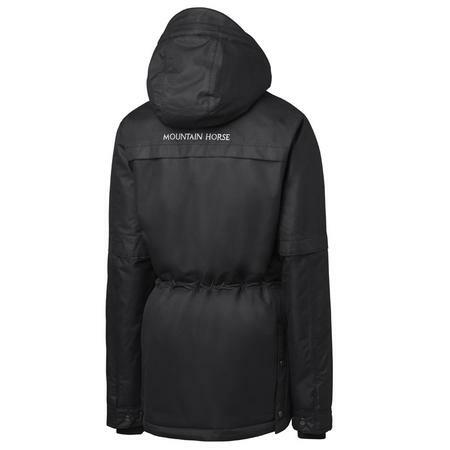 Add style to rainy days with the Cool-Dry Trainer Trench. 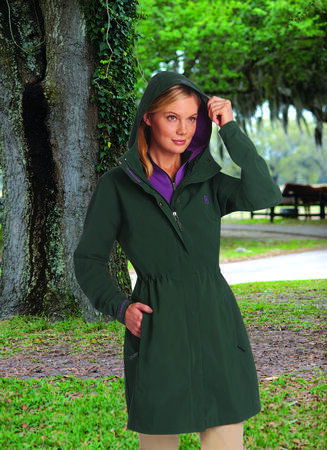 Our lightweight waterproof - breathable stretch soft-shell is comfortable for riding and barn activities with gusseted back vents, ample hood and vented under-arms. 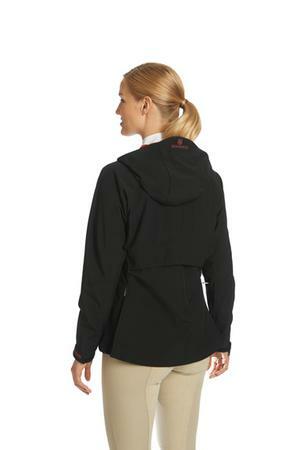 Sharp Black/Red styling and hidden drawstring waist give it a great look while staying dry. Features 2-way zipper, adjustable cuffs, mid-thigh length, machine washable. SKU 469804Our Price $145.00 $74.39 On Sale!